Join Us at Our Nation's Capitol for CAI's Premier International Gathering! Care to venture out of the Marriott? There's so much to do in this exciting city, we can't list it all here. Check out https://washington.org/ to find information on shows, museums, attractions, and more. There are three major airports in the Washington, DC region: Ronald Reagan Washington National Airport (airport code: DCA), Washington Dulles International Airport (airport code: IAD) and Baltimore/Washington International Thurgood Marshall Airport (airport code: BWI). All three offer multiple U.S. and international flights daily. Reagan National Airport is located just across the Potomac River in Virginia and is the closest airport to DC. It is accessible via its own Metro stop on the Blue and Yellow Lines. (It's also the airport you're most likely to spot senators and representatives heading home to their districts). To catch a taxi, look for the official taxi stand outside of baggage claim. A ride into downtown DC will cost about $15-$20. Visit the Reagan Airport transportation and parking page for more information. Dulles Airport is located 26 miles from DC in suburban Virginia. It has a dedicated access road that makes getting into the city efficient via car, taxi or airport shuttle. Washington Flyer taxi cabs exclusively service Dulles Airport. Taxi stands are located outside the main terminal at Door 2 and Door 6. A ride into DC will cost about $60-$68. Washington Flyer also offers a Silver Line Express Bus that drops off at the Wiehle-Reston East Metrorail station about 15 minutes away. Silver Line Express Bus fare is $5 for one way. Purchase tickets inside the airport at Arrivals Door 4. Visit the Dulles Airport transportation and parking page for more information. BWI Airport is a bit further out in Baltimore, but oftentimes that means you can find even better flight deals. BWI Airport is accessible via an Amtrak train route that drops off at DC's Union Station. A reserved seat on the train will cost $15-$30. Visit the BWI Airport ground transportation page for more information. Union Station is only three miles away from the hotel. All three airports also have a variety of car rental desks. Check with your preferred car rental company for more information. Our conference will be hosted at the Marriott Washington Wardman Park. The hotel, which celebrates its 100th year in 2018, provides a quiet respite in the heart of the city with 16 acres of manicured gardens. 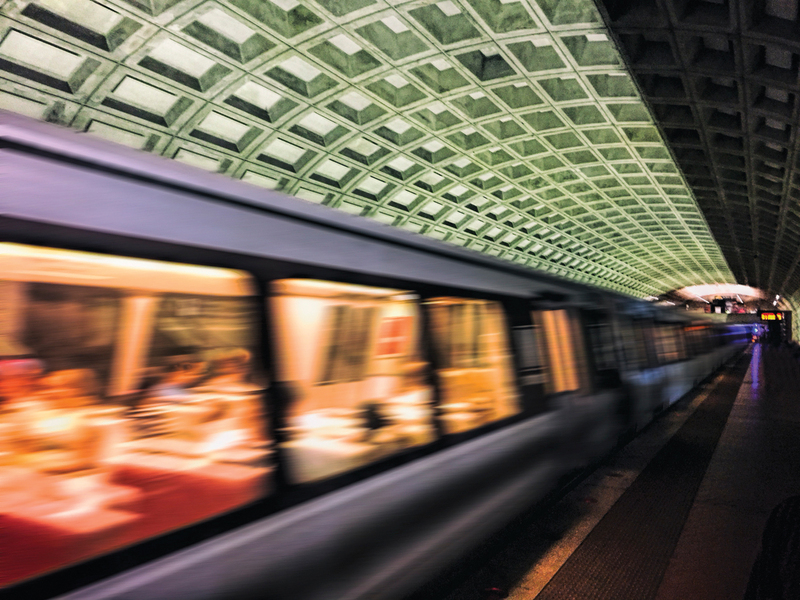 The hotel's proximity to the Metro allows you to visit bustling downtown DC with all its attractions, too! Our block at the Marriott Wardman Park has been filled. Our overflow hotel is the Omni Shoreham Hotel, one block from the Marriott, with the discounted room rate of $229. Tell them you are with CAI Overflow Room Block. Group discounted rate is good until the block is filled. Group discounted rate is good until filled OR April 4, 2018.